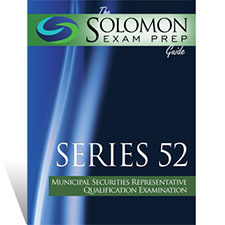 Solomon Exam Prep is excited to announce the launch of the Solomon Exam Prep study program for the Municipal Securities Rulemaking Board’s Series 52 Municipal Securities Representative Qualification Exam (https://solomonexamprep.com/series52/). Individuals who pass the Series 52 exam qualify to be a Municipal Securities Representative and may work in multiple capacities relating to municipal securities, including underwriting, sales, trading, advising, and consulting with issuers, research, investment advising, and communicating with public investors about municipal securities, including US government and agency securities. Since November 7, 2011 when FINRA revamped the Series 7 General Securities Representative Examination by de-emphasizing non-sales activities and by reducing the number of municipal securities questions, in the context of municipal securities passing the Series 7 only qualifies a registered person to be involved in the purchase and sale of municipal securities to customers, a qualification called the Municipal Securities Sales Limited Representative. However, anyone who passed the Series 7 before November 7, 2011 is grandfathered into the Municipal Securities Representative category provided the individual has kept their Series 7 license current. The Series 52 is a pre-requisite exam for the Series 53 Municipal Securities Principal Exam. The Municipal Securities Representative Qualification Exam is written by the MSRB but it is administered by FINRA who charges $180 for the pleasure of taking the Series 52. The exam contains 115 questions, each worth 1 point. The individual is given 3 and one-half hours to complete the exam, and a minimum score of 70% is needed to pass. We are proud to announce the release of a brand new on-demand study course for the Series 82, FINRA Limited Representative-Private Securities Offerings Qualification Exam. Earlier this year we released a brand new study guide to pair with our online exam simulator and now we are happy to further add to our product offerings with this on-demand study course. The Series 82 FINRA Limited Representative-Private Securities Offering Qualification Examination, qualifies an individual for the sale of private placement securities as part of a primary offering. The exam is 100 questions in length and is taken over a period of 2.5 hours; a score of 70% is required to pass the exam. 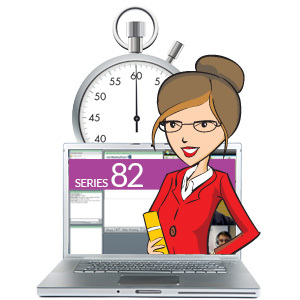 The NEW Solomon Exam Prep Guide to the Series 82 is here! Do TACs, QIBs and PIPES give you a headache? Do you need to take the FINRA Series 82 exam? If you can answer yes to both questions, Solomon Exam Prep can help relieve your headache with our new guide to the Series 82. 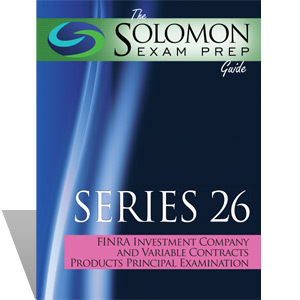 The Solomon Exam Prep Guide: Series 82 Limited Representative Private Securities Offerings Qualification Examination offers a clear, no-nonsense guide to the Series 82 exam. 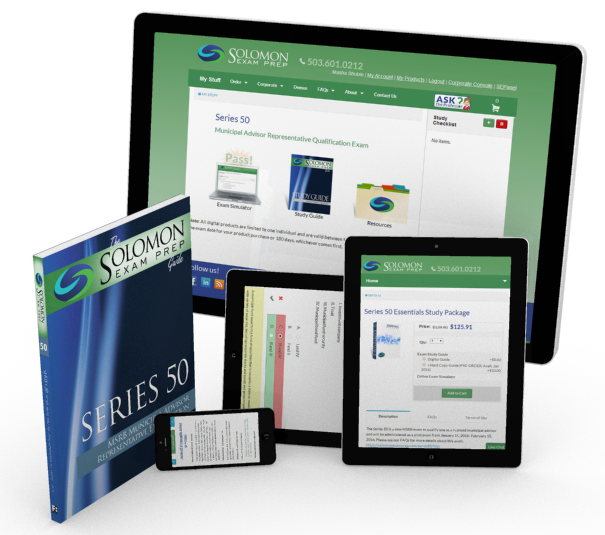 With detailed explanations, visual aids, and example questions, the Solomon Exam Prep Guide, in conjunction with the Solomon Series 82 Exam Simulator, will get you on track to passing the Series 82 in no time. 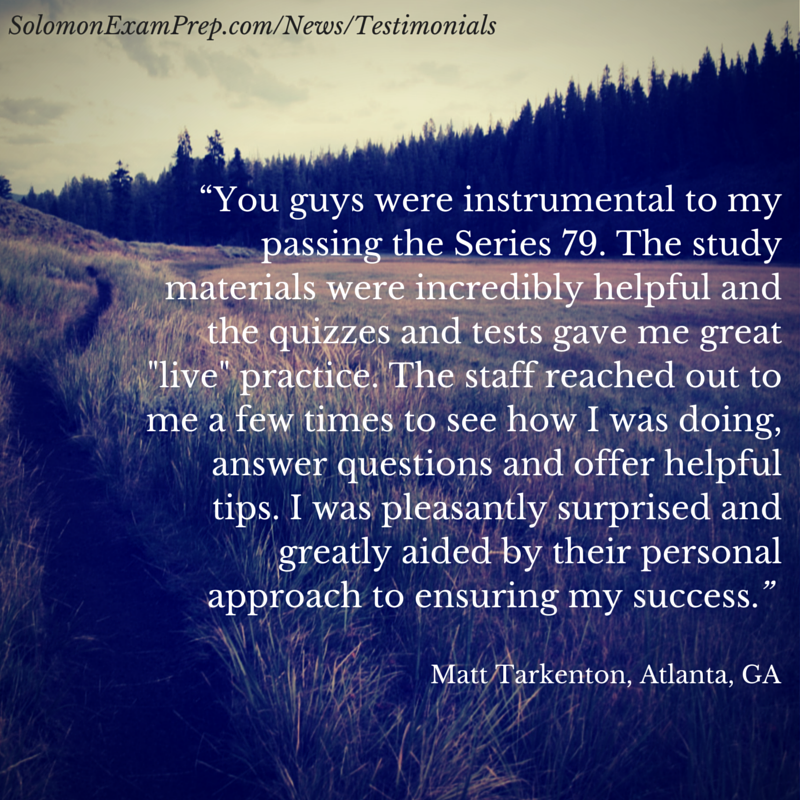 Solomon Exam Prep provides study materials and classes for securities and insurance licensing exams. 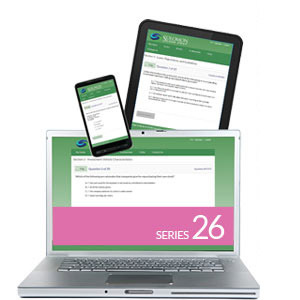 Along with the Series 82, Solomon Exam Prep helps financial professionals study for the Series 7, 6, 63, 65, 66, 24, 26, 55, 62, 79, 99, and Life & Health Insurance exams. Solomon Exam Prep offers study guides, audio guides, exam simulators, online classes and private tutoring to help our students pass the first time. 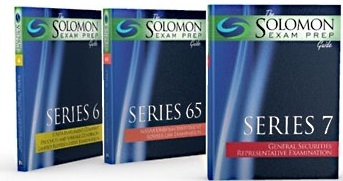 Visit our website http://solomonexamprep.com or contact us at 503-601-0212 if you would like more information about how we can help you or your employees pass these challenging and important exams! 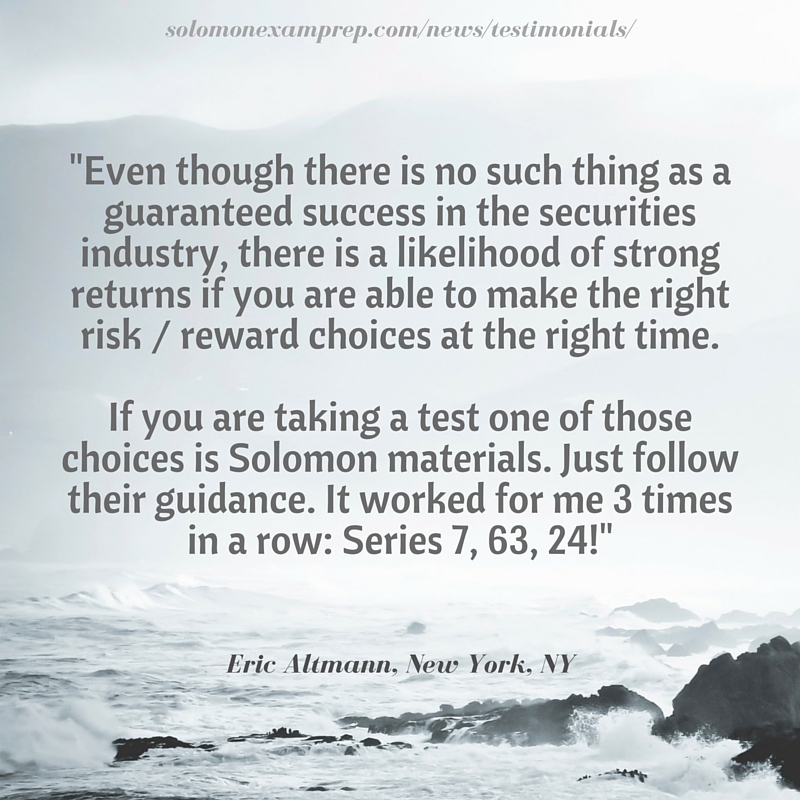 Author ProfessorPosted on August 16, 2013 Categories Exam Study Guide, FINRA, Series 82Tags FINRA, series 82, Study Guide, study materialsLeave a comment on The NEW Solomon Exam Prep Guide to the Series 82 is here!